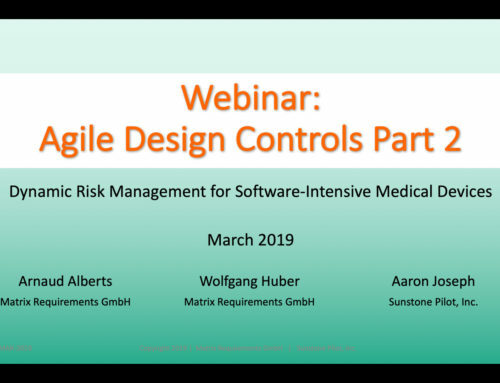 Agile Design Controls Part 3: Paperless V&V to Support Rapid Design Iterations of Medical Devices - Sunstone Pilot, Inc. 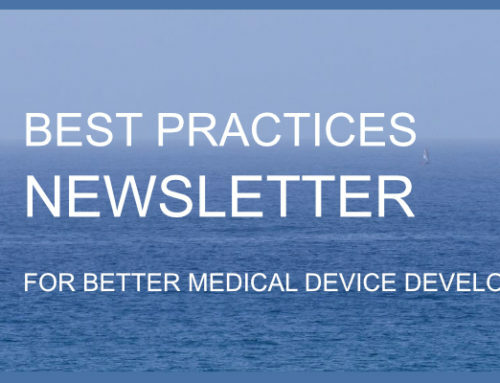 This webinar describes how to support rapid design iterations of medical devices while still maintaining systematic, rigorous V&V testing. 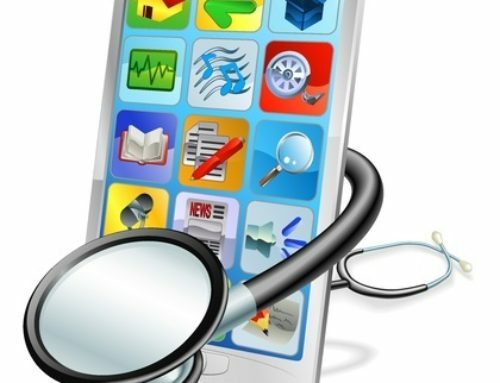 Traditional approaches to V&V are often slow, inefficient, and break down with repeated testing. 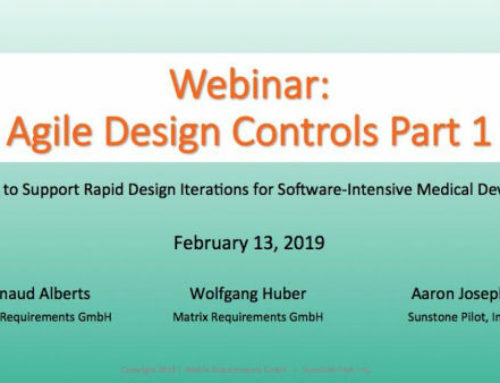 Learn how to configure modern SW tools to manage testing of a large number of requirements with multiple retesting and with automatic generation of up-to-date trace matrices. 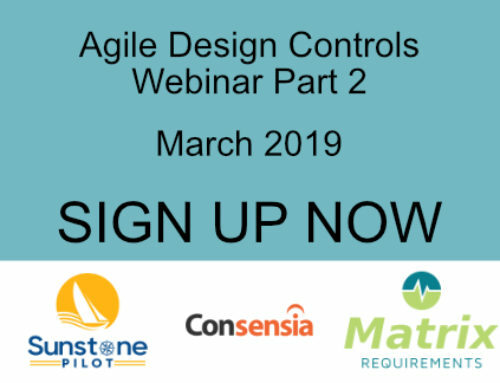 The webinar will illustrate this flexible paperless approach with examples using the Matrix ALM and Jira software tools, presented by a panel of software and process experts.